Fact: A walking trail dedicated to hit U.K. crime drama BROADCHURCH has been launched in Dorset, England. Ramblers can visit locations from the show along the area's Jurassic Coast and follow the footsteps of lead characters played by David Tennant and Olivia Colman. 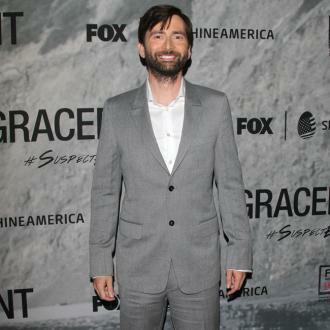 Broadchurch was adapted into a U.S. version called Gracepoint, which starred Tennant alongside Breaking Bad's Anna Gunn. Quote: "I was in the shower at the gym once... you don't want to be approached by a naked person at any time, but especially when you're naked yourself, and they're holding nothing but a piece of paper and a pen. The whole thing was very peculiar. Of course I signed it! What else could I do!" Former Doctor Who David Tennant on his strangest fan encounter. 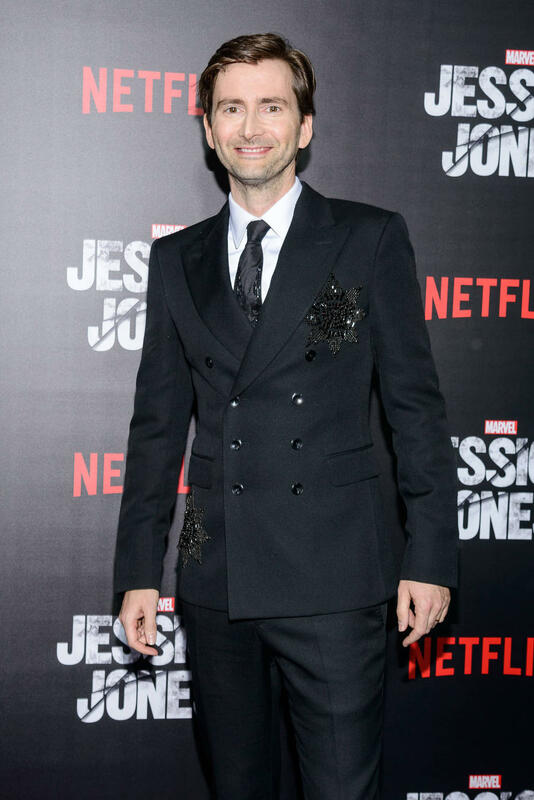 Fact: Actor David Tennant showed off his Highland pride at the premiere of his latest film What We Did On Our Holiday in London on Monday (22Sep14) by wearing a kilt to the red carpet launch. Fact: British star David Tennant was among the big winners at Britain's 2013 TV Choice Awards on Monday (09Sep13), scooping the Best Actor prize for his role in Broadchurch. He previously won the trophy in 2011 for his part in the drama Single Father. Other honourees this year (13) included Simon Cowell's Britain's Got Talent, which was named Best Talent Show. Fact: British actor David Tennant returned to the BBC Audio Drama Awards show on Sunday (27Jan13) to host the ceremony a year after he won the event's Best Actor prize. The 2013 winners included Sherlock star Andrew Scott, who picked up a Best Actor prize for voicing a role in Betrayal by Harold Pinter, and Northern Irish actress Michelle Fairley, who won Best Actress for her turn in a radio adaptation of The Grapes of Wrath. Fact: British actor David Tennant is returning to the stage this year (13) to star in a Royal Shakespeare Company production of Richard Ii. The play will open in Stratford-upon-Avon, England before transferring to London's Barbican in December (13). Tennant's previous theatre work includes star turns in Shakespeare's Hamlet, Love's Labours Lost and Much Ado About Nothing. Fact: British actor David Tennant returned to the West End stage on Wednesday night (31Aug11) after voice problems forced him to pull out of two performances of Much Ado About Nothing earlier this week (begs29Aug11). Quote: "I've got a Skoda. I want something with ethics. I'll wait for something that runs on cornflakes." 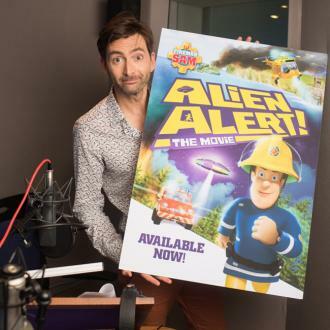 British actor David Tennant is keen to help save the planet with an environmentally-friendly car.